Toyota is working on an all-wheel-drive 400 horsepower hybrid Supra successor. Akio Toyoda, who is the president of Toyota, has brought new passion to the Japanese automaker and infused the brand with a competitive spirit. Before the creation of the Scion FR-S, Toyoda asked himself, “where is the passion in our lineup?, I want to build a sports car.” Toyoda has been instrumental in developing the Toyota GT 86 that will be sold across the globe, the Scion FR-S and the recent launch of the LFA supercar. The fun is definitely back at Toyota and it looks like they are not done yet building sports cars. According to Motor Trend, Toyota is working on the return of the Supra, but this time it will be returning as a mid-engine sports car with a hybrid drivetrain and all-wheel drive. Back in 2007 at the Detroit Auto Show, Toyota unveiled the FT-HS concept car that was reportedly going to be a new Supra model. With the global financial downturn in 2008, Toyota abandoned the project and we haven’t heard anything until now. Under Akio Toyoda’s leadership, we are seeing the re-introduction of the Supra model, but this time with a whole new attitude. The new Supra will be much different than the rear-drive FT-HS concept. The car is likely to be badged under a different name than Supra and would have a mid-engine, all-wheel-drive architecture and would pump out in excess of 400 horsepower. The car is rumored to feature a 3.5-liter V-6 hybrid system that would get some high-performance tuning to generate all the horsepower. The engine would be mated to a CVT transmission similar to the new Lexus RX. The V-6 would power the rear wheels, while in-wheel electric motors would generate power to the front wheels. The new sports car would get Toyota’s latest technology adapted from the GRMN Sports Hybrid Concept which is now in its second generation. The hybrid concept was first unveiled at the grueling Nurburgring 24 Hour race last year, and was recently displayed at both the Tokyo Motor Show and the Tokyo Auto Salon. It looks like Totota is serious about keeping the car in the publics eye. When it was first shown Toyota said it, “has long conducted active research on applying hybrid technologies to racing and sports cars” and said the GRMN vehicle is, “the next step in the evolution of these efforts.” The GRMN Sports Hybrid has also been extensively tested at Fuji Speedway in Japan. We don’t know exactly what Toyota’s next step will be, but the new Supra successor would likely be positioned above the Scion FR-S and would compete against the Nissan GT-R. We do know that CEO Akio Toyoda will be pushing to see the new car reach production sooner than later. As a former owner of a Toyota Supra I wish that Toyota had called the new FR-S "Supra." 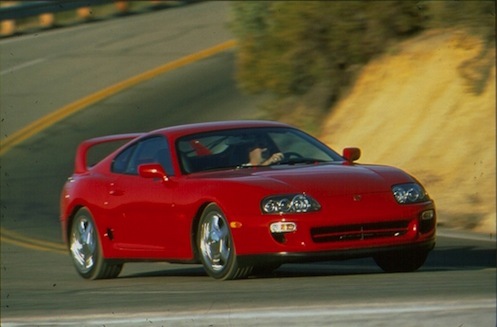 Or would have created a slightly more powerful one and called it the FR-Supra or something. I drive a 300HP, Rear drive, 2 door car from Lexus now. More power for the American steets is a waste of money. That said, if Toyota wants to play in the real world these crazy $350K LexusLFA things are not helping them much, if at all.